John Supon sustained a spinal cord injury after an an oil tanker he was driving rolled three times in 2006. 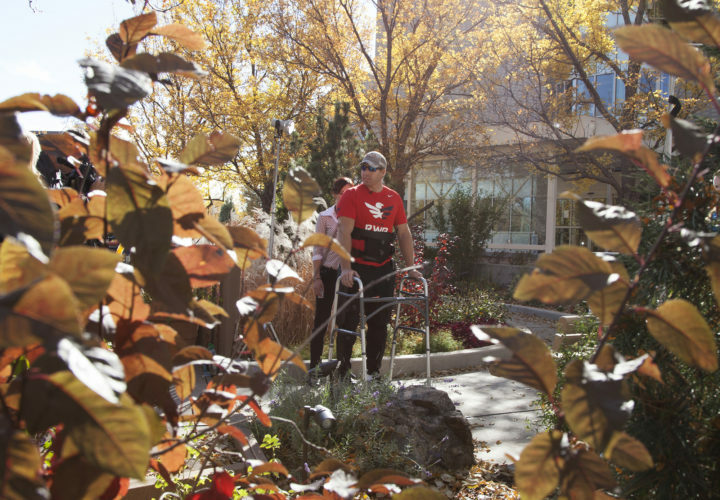 Today he stood and walked outside with the help of the Indego exoskeleton, a new device that offers people with impaired mobility a new level of independence by allowing gait impaired individuals to stand and walk. "It overall just feels good. It feels good to stand up, to be in control," said Supon. "Getting up and standing up and having that option is just huge." 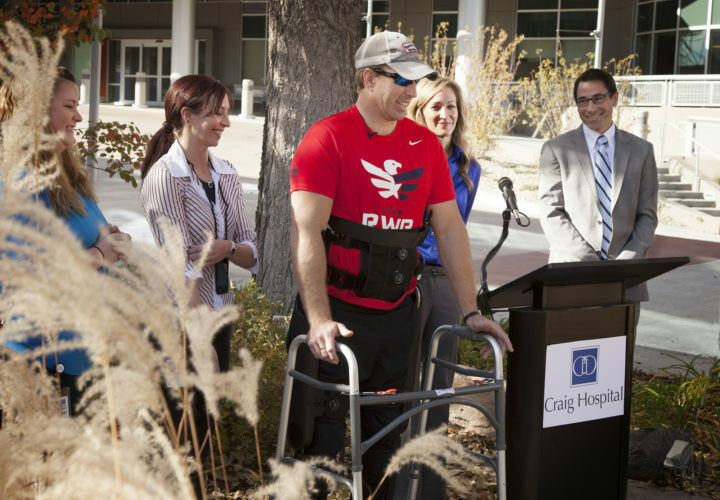 Craig Hospital unveiled the Indego exoskeleton as part of the launch of a multi-center study. 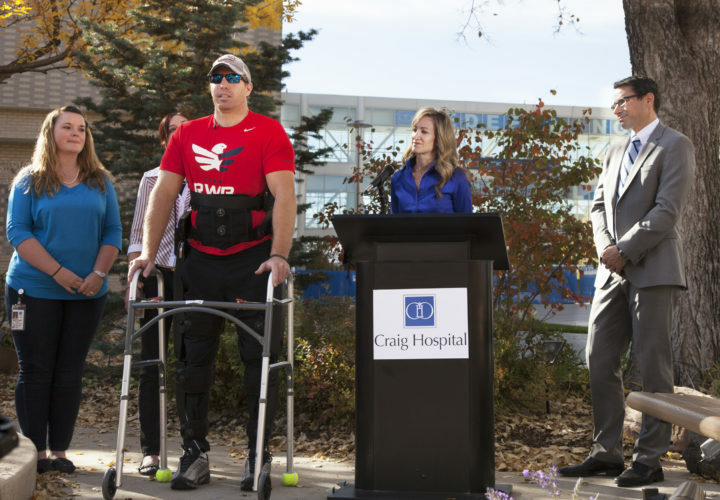 Craig is the first of three leading rehabilitation centers within the United States to receive Indego—a powered lower limb orthosis, also known as exoskeleton. 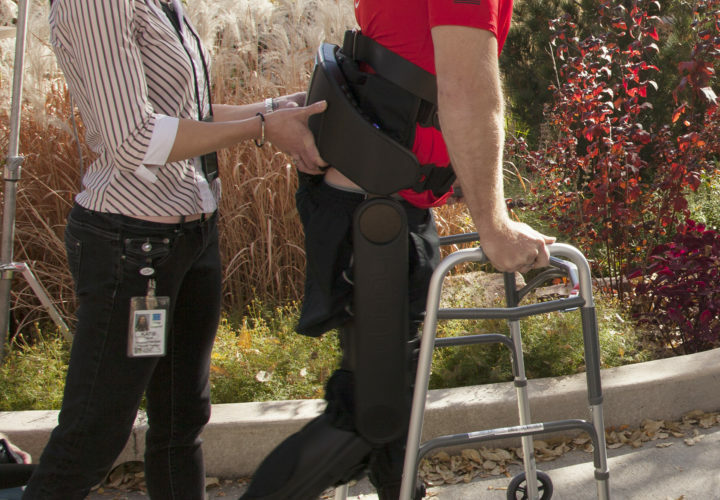 "We have many former and current Craig patients who would like alternative mobility options and we believe robotic exoskeletons may provide enhanced upright mobility as well as improved community access in the future after sustaining neurologic injuries," said Candy Tefertiller, PT, DPT, ATP, NCS, Craig Hospital's Director of Physical Therapy. 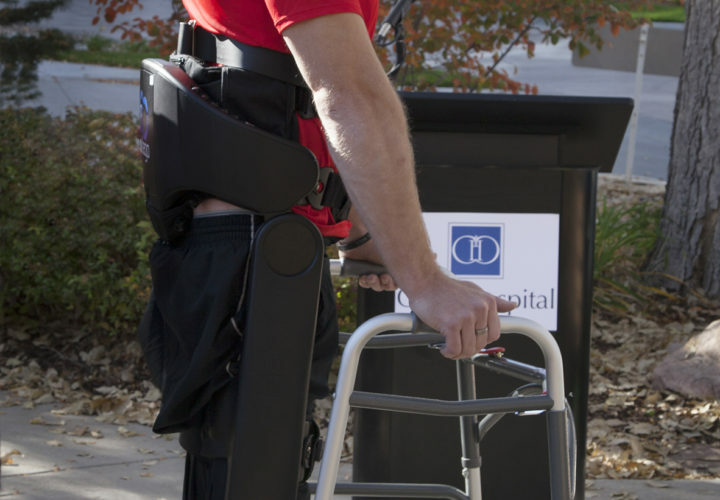 John Supon wears the Indego exoskeleton at a press conference. 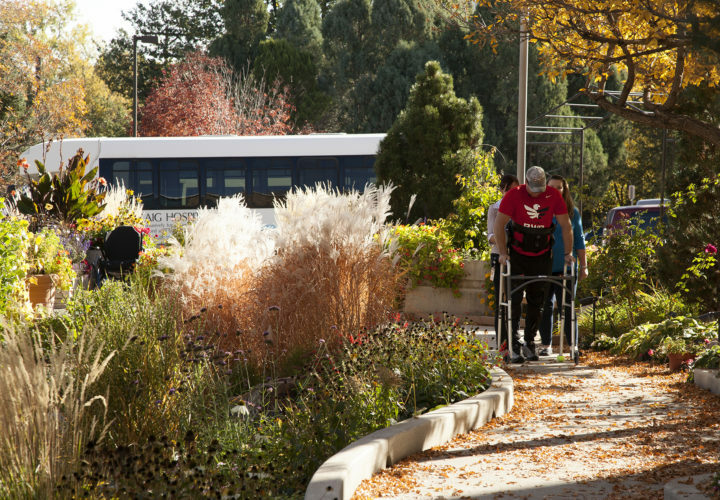 Craig Hospital debuted the Indego as part of the launch of a multi-center study.